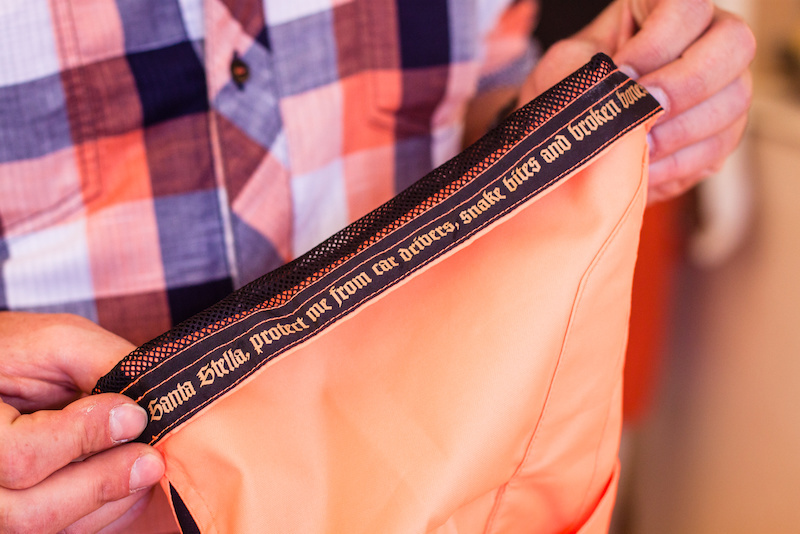 Most protective backpacks are made by companies who start with a backpack, then add protection later. Dainese approached the development of their Propack from the other end of things. As a protection company, they started with what they knew best - the spine protector - then developed the pack around it. The Propack is a 3-in-1 affair: back protector, race pack, and full touring pack. The back-protection is EU certified (EN1621-02) with 2 layers of impact absorbing foam moving on top of each other, covering you from the top of the shoulder, all the way to your hips. The protection is designed to be ergonomic, wider at the shoulder to protects your scapulas, thinning down towards the waist, sitting over your hips. All of this can be kept in place with a removable waistband. 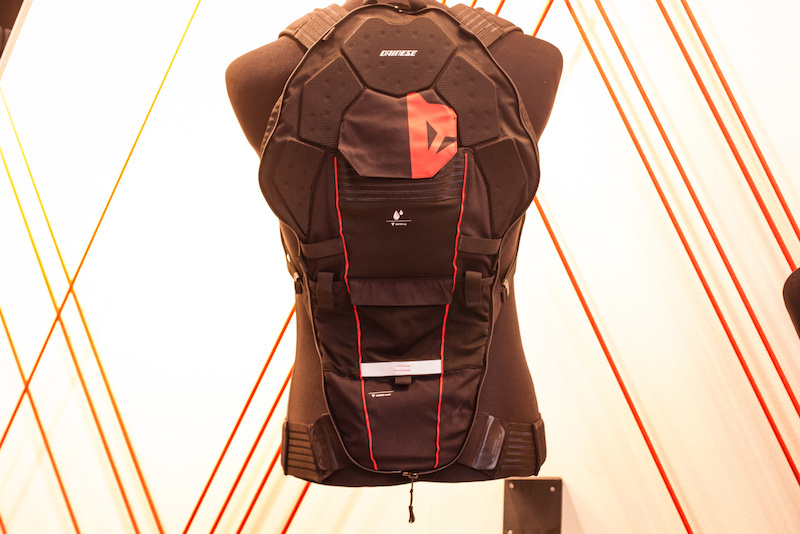 Starting with the back protector, you can first add what Dainese call the race pack - with minimal storage to carry water, some tools and everything else you would usually tape to your bike or stash in your pockets on race day or if you are going for a short ride. It also features anchors for the helmet carrier to fit both open and full-face helmets. For the third stage there is the touring pack, which mounts onto the race pack giving you an additional 12 litres of storage. It has a wide utility pocket on the front as well as an easily accessible "on-the-go" pocket to safely store your phone inside a waterproof sleeve without removing your pack .It will available in Medium and Large, pricing and availability to be confirmed. This new protection bridges the gap between hard-shell protections and soft-shell pads. It is based on their soft-shell Trail Skin knee pads they launched last year, with added length on the shin and a thermoformed hard-shell on the knee-cap and along the crest of the shin. It maintains the form-fitting construction of the soft-shell pad with the extra protection of a hard-shell. It is adjustable at the top and the bottom and it has a silicon band on the rubber band to keep it from sliding down. If you are not yet familiar with Zimtstern, the next few lines and pictures will give you a crash course on all you need to know about the less than low-key Swiss company. 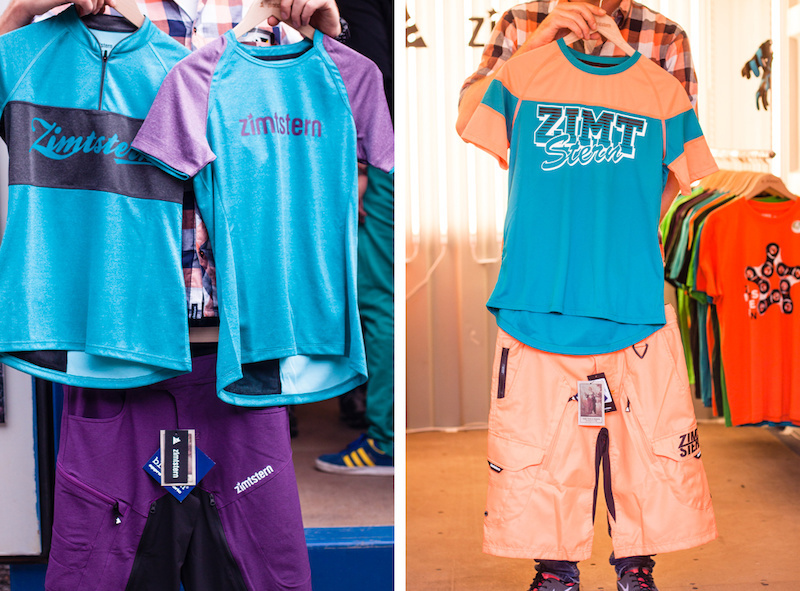 The brand is widening its MTB offering with more colors, different shapes and new products. All their models are quite thought through with vents on all shorts, extra pockets that don’t get in your way while pedalling and the patron saint keeping you safe wherever your adventures are taking you. All the jerseys are fast wicking, so it will keep you from smelling, and keep you comfy. The shorts have a tough double-weave Ripstop fabric, which is very stretchable and provide a water- and dirt-repellent finish. 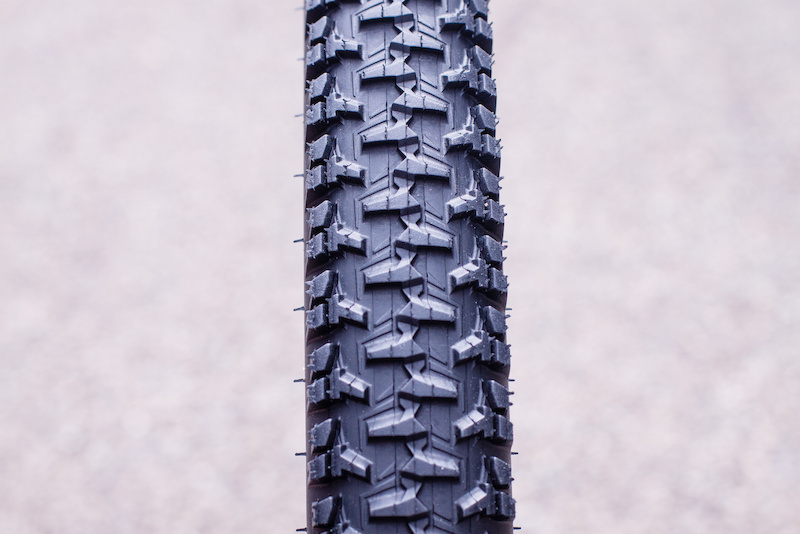 After introducing us earlier this year to its new range of Enduro tires featuring its new triple compound rubber, Hutchinson has followed this up with a revamped version of their 20 year-old, best-selling MTB tire: The Python. The Python 2 is best described as a low-profile, fast rolling tire that should most likely be used as a rear tire unless you are planning a XC spin on tacky terrain. Hutchinson offers the Python2 in 26”, 27.5” and 29”, with each size available in 2.1 and 2.25 for the width. 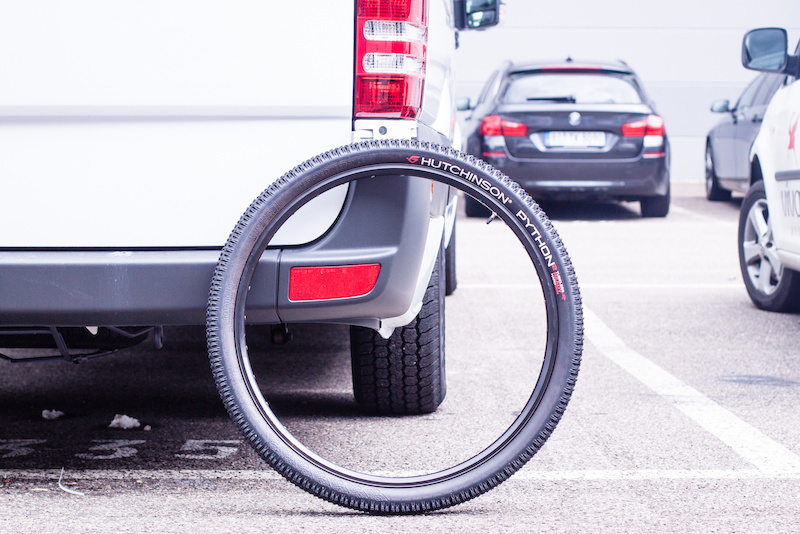 Check out all of our Eurobike images here. Spice must flow! My name is a killing word! Usul has called a big one! MF DUNE!!! Me knowing your guys' reference to Dune makes me feel old. "Shut up legs!" How about a Python 3 with the Python center tread and a burly side knob from say... the Toro? If they were to be, I would buy a few pairs and have a new favorite tire! Call it the cow strangler! Ya that's always one of my first tests (sending an email) before I buy something spendy. And also, I check the website, especially to make sure their mobile version actually works. Usually if one is bad, the other will be too. ... Go ride your bike instead of spamming manufacturers from your phone. Then please, enlighten me, why would they have an online store on their website if they don't answer questions about their products ? I've used their contact form on the website to contact them, as I should do since I was looking for information on 2 specific products. Oh and there are only motorbike shops in my area that deal Dainese, and I went to the one that was open during the summer, and he wasn't able to help me with what I was asking (which is a size issue). hhahahah @mattwrag, I've just been to Dainese Pro store in Riva del Garda and they were not really willing to answer my questions about getting me desired knee pads in a matter of two weeks. All they knew was that if I buy the ones they have on display, I will get 10% discount from MSRP. I am quite sure the language was an issue as I did not speak German (pun intended). Wait... didn't you live in Italy? Now, many large manufacturers including SRAM and Shimano (even Specialized!!!) answer questions. Ploutre is totaly right. THe best customer service of that kind, that I have ever experienced was Light Bicycle. Make no mistake though I freaking love Dainese products. Their back protectors and knee pads are better than anything else from what I have tried. Ploutre, It wasn't that Dainese doesn't answer their emails, you just sent it during there month long holiday shutdown. I would wry again. We try to answer everyone's emails! Our customers are the most important emails to answer. I tired forever to find their Trial Skins, everyone was sold out or had small and XL, even the Dainese store. In the end, POC got my money. It's called production planning, it's a thing you do to ensure enough forward coverage and inventory. You should look into it. Not sure what D-Store you and SlodownU live by, but I know what you mean. Let us not forget there main bread & butter is Moto, all else comes second when it comes to other products the stores carry, but I have to say it fall more on the lack of store managers not caring or understanding that all sales are good. No matter what product you are selling. I'm sure they think bicycle product sales don't matter, so this is why they don't bother to carry as much. Need to learn "A BUCK IS A BUCK!!!" The Dainese back pack in the first picture looks like a Teenage Mutant Ninja Turtle suit. If only it came in green! Beat me to it... Damn!! Didn't the python already exist as a 26x3.0" tire back when huge tires were a thing? Just what people needed! Eighties themed freeride clothing! Inspired by Willy Wonka. At least if you get lost people won't have a problem spotting you. Protection equip is getn so good these days!